The objective of the current study was to test the hypothesis that rumination and distraction mediate the relationship between depressogenic attributional style and depressive symptoms. 1017 university students recruited from two universities (90.0% Han and 10.0% ethnic minority) in China, completed questionnaires that measured depressogenic attributional style (Cognitive Style Questionnaire), depressive symptoms (Center for Epidemiologic Studies Depression Scale) and rumination and distraction (Response Styles Questionnaire). Direct effects and the mediation model were evaluated via both linear regression analyses and Sobel tests. The rumination subscale of the RSQ was significantly positively correlated with the CESD and subscales of CSQ. However, the distraction subscale of the RSQ was significantly negatively correlated with the CESD and all subscales of the CSQ, except for the subscale of self. Higher levels of depressogenic attributional styles were associated with higher levels of rumination response style. In contrast, lower levels of CSQ-cause, CSQ-consequences, and CSQ-total were associated with higher levels of distraction response style. 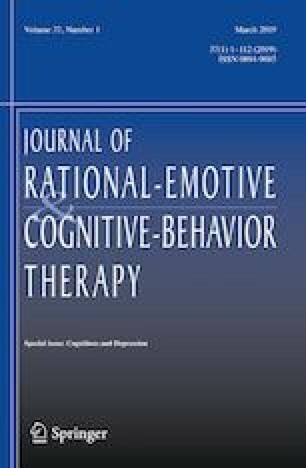 Higher levels of rumination response style were associated with higher levels of depressive symptoms. However, higher levels of distraction response style were associated with lower levels of depressive symptoms. The obtained results of Sobel tests confirmed that rumination partly mediated the relationship between depressogenic attributional style and depressive symptoms. The present results suggest that rumination but not distraction may mediate the relationship between depressogenic attributional style and depressive symptoms; additionally, rumination contributes to the negative outcomes of depressive symptoms. This study was supported by Beijing Key Laboratory of Learning and Cognition, and MOE (Ministry of Education in China) project of Humanities and Social Sciences (Project No. 16YJA190008) awarded to Prof. Jing Xiao, the National Natural Science Foundation of China (Grant No. 31771223) awarded to Prof. Jing Xiao, and the Beijing Municipal Commission of Education (TJSH20161002801) awarded to Jin Luo.